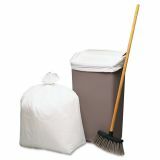 Earthsense Commercial Recycled Tall Kitchen Bags, 13-16gal, .8mil, 24 x 33, White, 150 Bags/Box - Earthsense Commercial Heavy-Duty Recycled Can Liners are reliable wastebasket liners that are environmentally friendly. They're so tough, they're nearly puncture-proof. 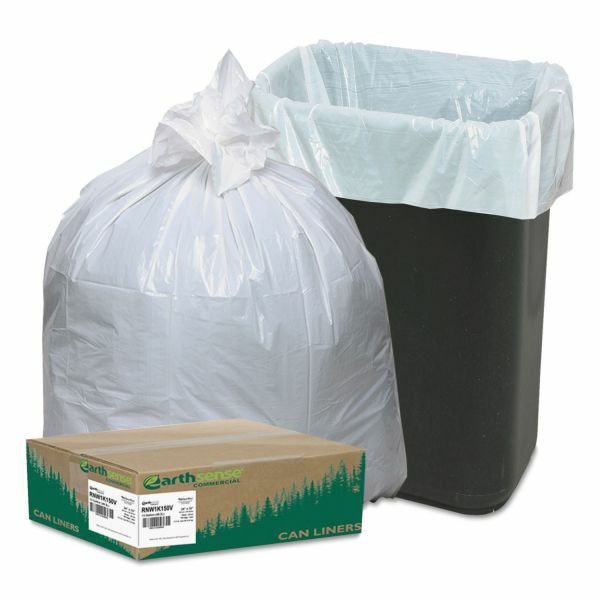 Liners use recycled heavy-duty plastics and kraft boxes for convenient dispensing. 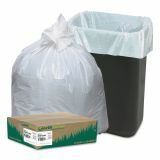 Flat-bottom construction prevents leaks at the bottom and provides 30 percent extra capacity than standard star-bottom liners. 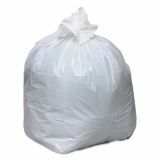 Bags are folded individually.